Posted in Aurora, General Information and tagged aurora jockey pumps, flow series jockey pumps, NSF-372, NSF-61, PVM jockey pumps on February 26, 2015 by admin. Unfortunately for firefighters, being in the line of duty comes with certain dangers, among them even death. 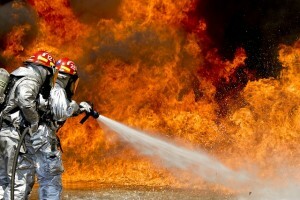 According to the NFPA, there were 97 on-duty firefighter deaths in 2013. The good news is that that number is down to 87 in 2014, but this is still a number that must be improved upon. Sadly, some of these fatalities are the result of popular lightweight fire hoses that are suffering from “burn-through,” a scenario where the fire hose burns as a result of the fire they’re trying to extinguish, and is therefore rendered useless to our heroes. This was the case in a March blaze in Boston, where two firefighters were killed in a nine-alarm fire on Beacon Street. Posted in General Information, NFPA and tagged firefighters, flame-retardant fire hoses, hose burn-through, Worcester Polytechnic Institute on January 20, 2015 by admin. 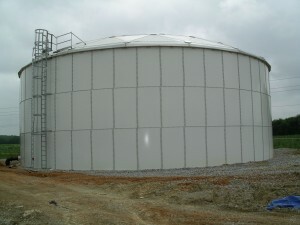 In the field of fire protection water storage tanks there are several types of tank options, and some of the most commonly used are corrugated, steel welded, steel bolted, and concrete. We have found that for most projects, the steel bolted design has the most advantages over other types when considering cost, manufacturing quality, field erection time, and product durability. Posted in General Information, Water Storage Tanks and tagged above-ground bolted tanks, CST storage, steel bolted water storage tanks, Trico-Bond EP on January 5, 2015 by admin. Over the course of this year, we have encountered several disabled fire pumps due to burnt up or failed fire pump controller components. This can happen for various reasons — age, misuse, lightning, power surges, etc. But, for one particular installation, what troubled me the most was that for months at a time, no one knew there was a problem at all. To the outside observer, everything seemed to be working fine. You press the ‘start’ button and the pump runs. But it wasn’t until a simulation of a pressure drop was performed that the problem revealed itself: the automatic start circuitry was damaged. The pump would start manually, but not automatically. Several “monthly tests” did not reveal the problem because no one thought to test the equipment automatically. Posted in Fire Pumps, General Information, NFPA 25 and tagged automatic starting of fire pump, disabled fire pumps, fire pump testing, NFPA 25 on November 21, 2014 by admin. Posted in General Information, water-based fire protection systems and tagged American Red Cross, Fire Safety Tips, Fire Sprinkler Systems, Home Sprinkler Systems, Talco Fire on October 31, 2014 by admin. UL/FM fire pumps require what is commonly called a “flooded suction,” or a positive suction pressure prior to starting. The concept is that the water supply source must arrive at the pump impeller on its own, without the aid of the pump. This will guarantee that the pump is properly primed and ready for operation. With many centrifugal pumps, as little as 3% air in the casing can be enough to prevent the proper operation of the pump. So it is important to maintain a positive pressure on the pump prior to starting. Posted in Fire Pumps, General Information and tagged Centrifugal Pump priming, jockey pumps, positive suction pressure, priming a centrifugal pump, self-priming centrifugal pump on September 26, 2014 by admin. Posted in General Information, water-based fire protection systems and tagged Home Hydrant, New York, NYSAFC, Sprinkler Laws, Talco Fire on August 25, 2014 by admin. According to the State Compensation Insurance Fund of California, there are between 70,000 and 80,000 serious workplace fires every year. 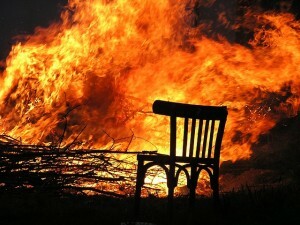 The good news is there are simple steps that you can take to help limit the risk of these fires, and our blog today features some of the best ways to reduce the risk of fire at your place of business. Posted in General Information and tagged fire prevention, fire pump, State Compensation Insurance Fund of California, workplace fires on July 29, 2014 by admin. How Often Should You Test Your Fire Pump? Posted in Fire Pumps, General Information, NFPA 25, Q&A and tagged fire pump, fire pump testing, how often should i test my fire pump, NFPA 25 on June 27, 2014 by admin. This blog is the finale of our two-part series, where we continue discussing the testing of fire pumps, and we now switch our focus to the use of a flow meter device. In our second half of the series we’ll dive into the advantages and disadvantages to using flow meters instead of the hose manifold method, which was discussed in part one of our series. Posted in Fire Pumps and tagged fire pump, fire pump testing, flow meter, NFPA 20 on May 28, 2014 by admin.